St. John’s Lutheran Church holds worship services 8 am and 10:30 am on Sunday. 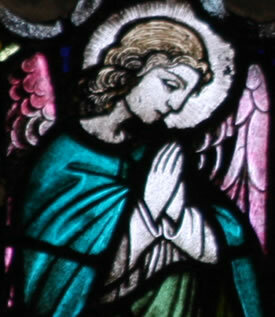 Special Advent and Lent services are also held at times announced closer to these seasons. Please join us and experience the joy of sharing in His Word. Sunday education hour is held each Sunday at 9:15 am. The Pastor’s Pericope Study is held 10 am most Wednesdays and Bible Study is held at selected times on Thursday. Please see our Calendar for the latest times for Bible Study. St. John’s Lutheran Church is located at 116 North Seventh Street in Zanesville Ohio, at the corner of Seventh and Market Streets. Our mailing address is: 116 N 7th St, Zanesville, OH 43701. Parking is available at and near the Church. Please refer to the Parking Map for more informaiton. You can call us at 740-452-7569 or send a fax to 740-452-4743.